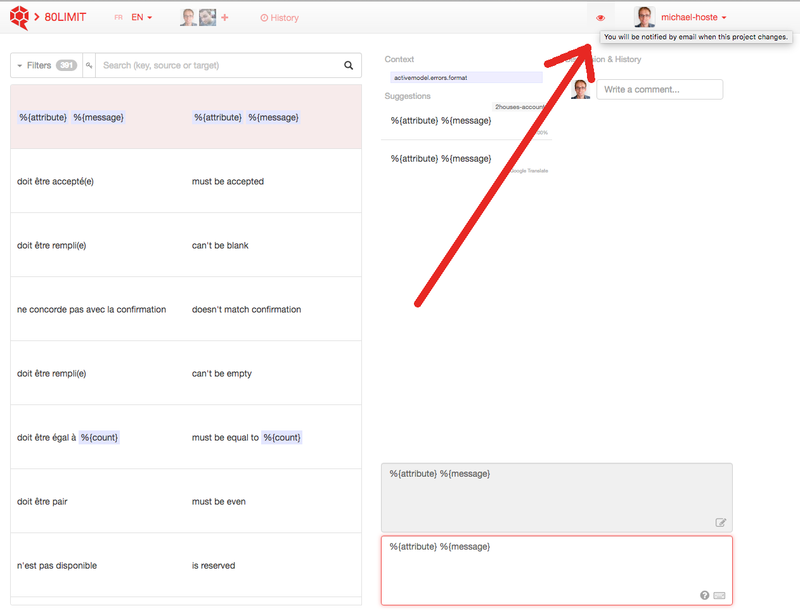 You may want to add a custom language that is derived from an existing language. It's useful if you want to change some translations for another instance of the application or for a specific customer. The structure of a custom language is : existing language code + "-" + custom text. Custom languages can be added like any other language and fallbacks work as expected. It means that if the en-microsoft.some_key is missing, then it will fallback to en.some_key. So you only need to translate keys that should be customized. Note that fallback are chained, so fr-be-custom will fallback to fr-be that will itself fallback to fr. Using GetText syntax, it will only fallback to the source language. So either you create a fallback mechanism by yourself or you avoid fallbacking by translating everything in Translation.io for that custom language. 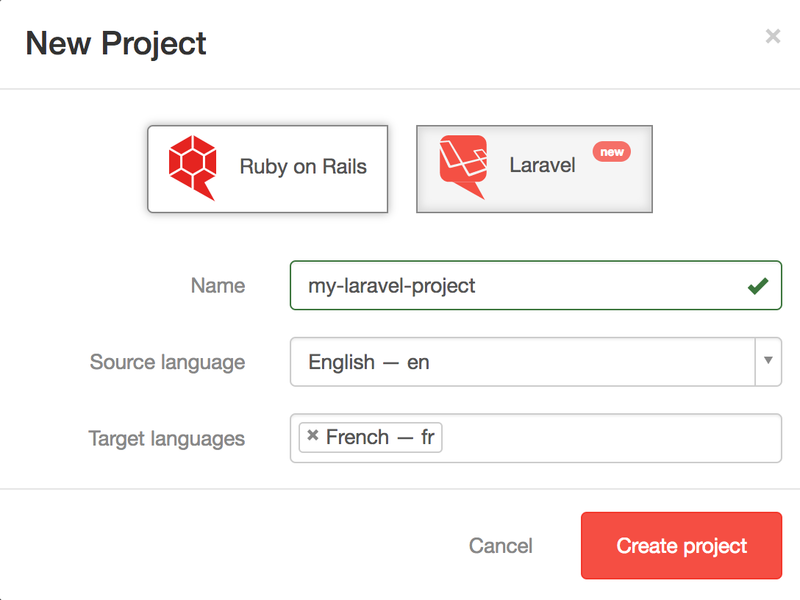 We are proud to announce that Translation.io is now supporting Laravel the same way as Ruby on Rails. If you like working with us and you know some fellow Laravel developers, please tell them we're open for business. For each positive or negative feedback, we'll offer them 3 free months on Translation.io. We'd like to thank @armandsar for helping us bootstrapping this package. Maybe you've noticed that the URL of the page changes almost everytime you do an action on the translation interface: moving from a segment to another, changing filters, searching a word, etc. Actually the current state is kept in the URL so you can share URLs from your work with your collaborators/translators. 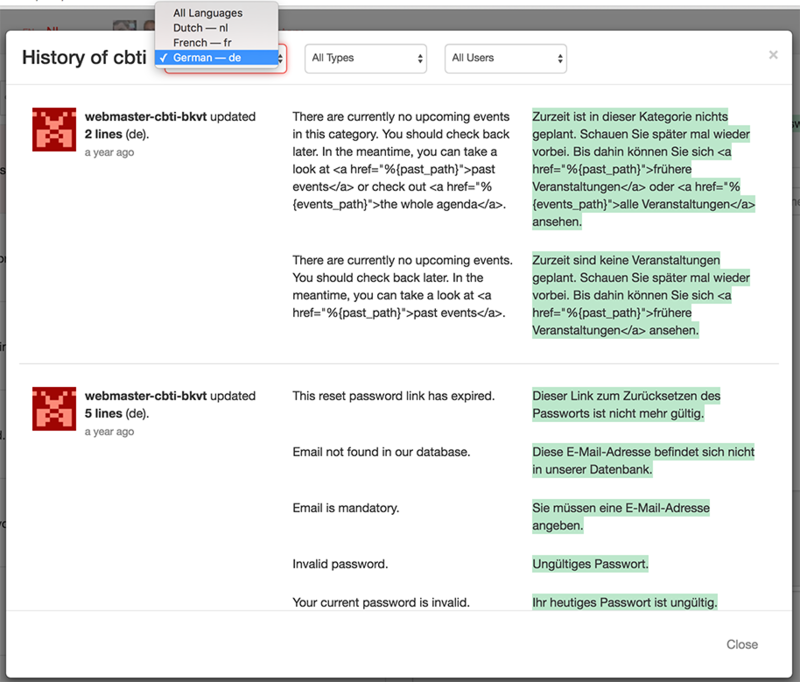 If they follow the link, they will get right where you were: same filters, same selected segment, same target language. Also, the navigation history is preserved so the back button of the browser will bring you back exactly where you were before. It's not much, but that's unfortunately not always like that on modern one-page applications.